For information about our detoxification program, click here. Incorporating effective treatment into your life process, because your life need not stop for treatment. The LIVE Treatment team comes to you! – working around your schedule, in your environment – where you most need support. With many years of experience treating addiction and dual-diagnosis, LIVE Treatment crafts a unique treatment team and plan for each client, combining clinical and holistic treatments customized and delivered as a concierge recovery service. We understand that your environment, schedule, relationships and work impact the success of your treatment and recovery and that is why we offer our clients private treatment. You choose where and when you want your treatment and the LIVE staff will be there for you. LIVE Treatment intentionally maintains a minimal caseload in order to prioritize you and maximize your success within all aspects of treatment. Our commitment to client care is reflected in our deliberately small case load. LIVE’s exclusive model offers individual programs that encompass both real-life and in-office services. You and/or your family has access to your own, dedicated team of professionals. LIVE is here for you and your loved one to reach out to at the most vulnerable time of your lives, entrusting our concierge treatment specialists to help you overcome profound struggles, while addressing all matters of your health and wellness. The success of LIVE Treatment is directly correlated to the outstanding results our clients achieve from private treatment for their particular disorder. About 30% of LIVE Treatment clients are suffering from mental health disorders (e.g. Depression, Anxiety, Bi-Polar, PTSD, ADD/ADHD, OCD), 30% from substance abuse/addiction problems, and about 40% suffer from both simultaneously, commonly referred to as dual-diagnosis or co-occurring disorder. Whatever the case may be for you or your loved one, rest assured that the expert staff at LIVE Treatment will provide the best possible treatment and help get your life on a healthy track. 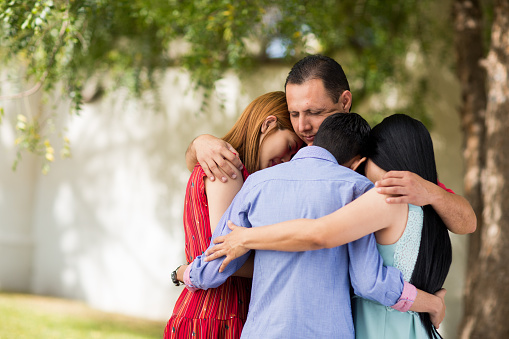 It is often difficult for family members to understand the full scope of their loved one’s disorder, and we want to assure you that our hand-selected team can address all critical variables. The LIVE Treatment staff will approach your loved one’s wellness and recovery needs on a custom care basis, and a personalized treatment plan will be developed by our entire team of physicians, clinicians and support staff. Often, sobriety comes easier while staying in a residential facility, but once back in the world of school or work, family members and friends around us, sobriety is tested and confronted with the pitfalls and temptations of daily life. Ideally, treatment centers should always be able to focus on the client and their special circumstances; however, traditional treatment centers tend to focus on only one issue (substance abuse), which does not take into account the growing number of patients suffering from dual-diagnosis. Additionally, they must focus on what is best for the group, which is not necessarily what is best for each individual. It is simply impossible to meet truly individualized needs in a group setting. Meanwhile, luxury treatment centers oftentimes forsake qualitative care, which subsequently leads to a high rate of relapse. What we do here at LIVE Treatment is truly unique and provides a level of effectiveness that transcends any other environment. Providing concierge services entails creating a full wrap-around approach, molded specifically to your needs. Our highly acclaimed clinical staff is committed to each and every client that we serve, with an understanding that he or she deserves a customized and private treatment plan designed to provide lasting results. We take into account your life circumstances, co-occuring disorders, and mental health concerns, in addition to substance abuse related matters. Medically-supervised detoxification can be performed at your home or in another comfortable environment of your choosing. With a level of safety and medical staffing akin to a hospital, LIVE Treatment provides around-the-clock medical supervision and ensures that you are kept as comfortable as can be while your body recovers and rejuvenates. This unique and specialized medical service, allows clients the opportunity to be treated as dignified human beings, as opposed to waiting in crowded Emergency Rooms where their detoxification is often rushed, uncomfortable, and stressful. Additional ancillary services can be provided to speed and ease the process and get you back on your feet quickly and safely.